Belize NMS: Warm and mostly dry conditions persist over the forecast area. 24-hour forecast: Mostly sunny today and partly cloudy tonight. Showers will be isolated with the chance of an isolated thunderstorm over inland areas this afternoon and over the south tonight. Today: Winds: E-SE 10-20 kt with higher gusts. Seas: Moderate - rough. Waves: 4-6 ft. Y isolated showers. Tomorrow: Winds: E-SE 10-20 kt with higher gusts. 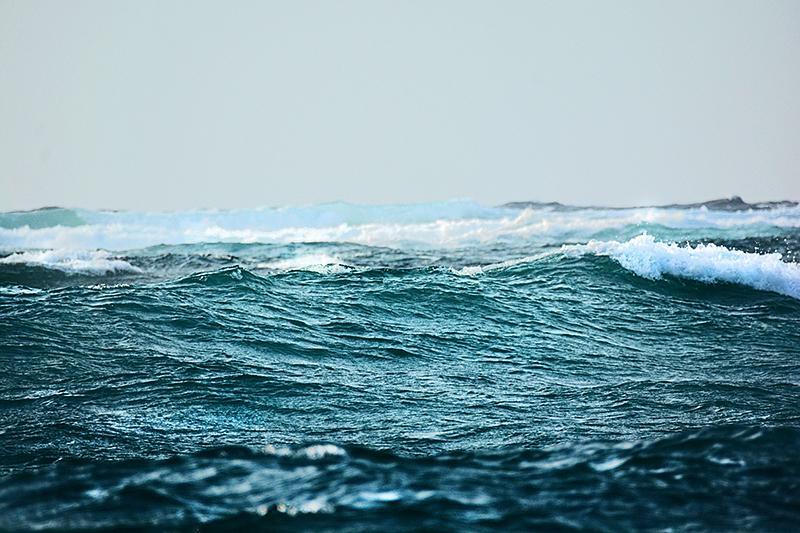 Seas: Moderate - rough. Waves:4-6 ft. Isolated showers. Marine Outlook: (Monday night) Winds: East 10-20kt with higher gusts.Seas: Mod-rough. Waves: 4-6ft. Fair. General Outlook: (Monday and Monday night) isolated showers; chance of an isolated thunderstorm inland Monday afternoon. The Upper Air jet stream pattern has been almost stationary for the past 4 days. 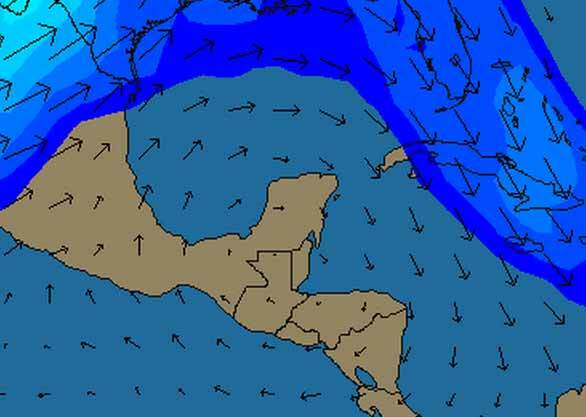 The centre of the anticyclone circulation is directly over Belize. 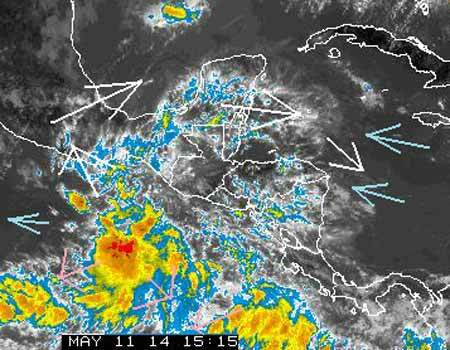 Any rain is being directed into southern Mexico and west Guatemala. Any significant rain for Belize should start occurring a few days after the next Full Moon. On Ambergris Caye this morning the wind is disturbing the reef and diving has been cancelled. We have 17 mph winds from the ESE. Todays expected high for the island is 88. A lot of rain in Guatamala last night, some very near, even in parts of Western and southern Belize. . . But nothing on the Radar this morning. Just generally hazy cloud much of the day with some sunshine, but no rain.